DNA PR is a design agency based in Brighton. 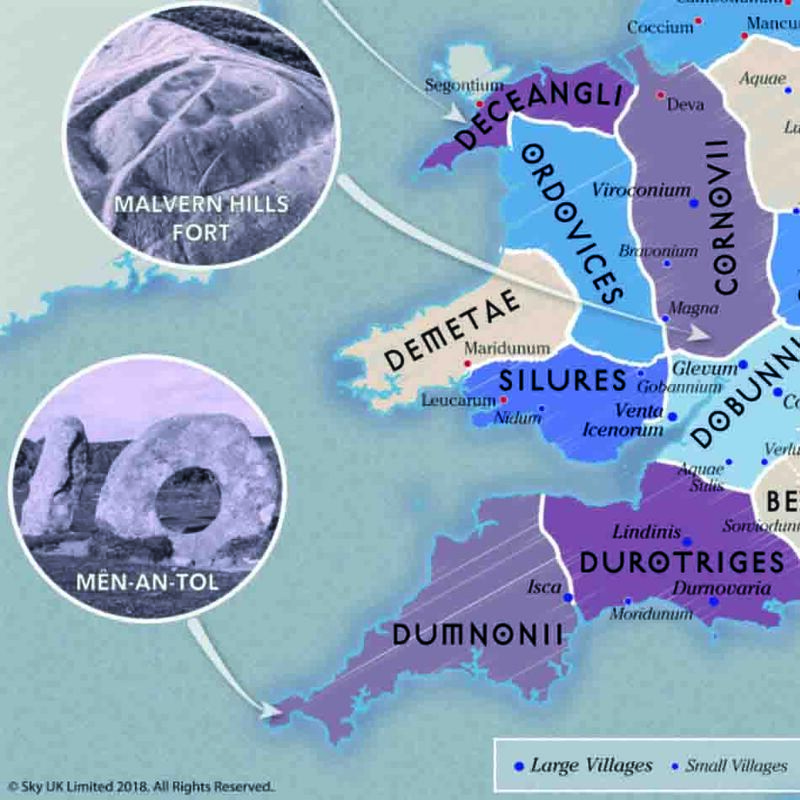 They contacted us to create a historic map of Britain to publicise the DVD launch of the Sky Atlantic TV series, Britannia. They required a map of Britain in the year 43 AD indicative of when the Romans first invaded Britain, to include in the press pack. Regional TV and newspapers could then focus in on the area. The series branding had a very specific style that would need to be reflected on the map but it would also need to be evocative of the period in question. It would therefore need to have imagery of key landmarks. 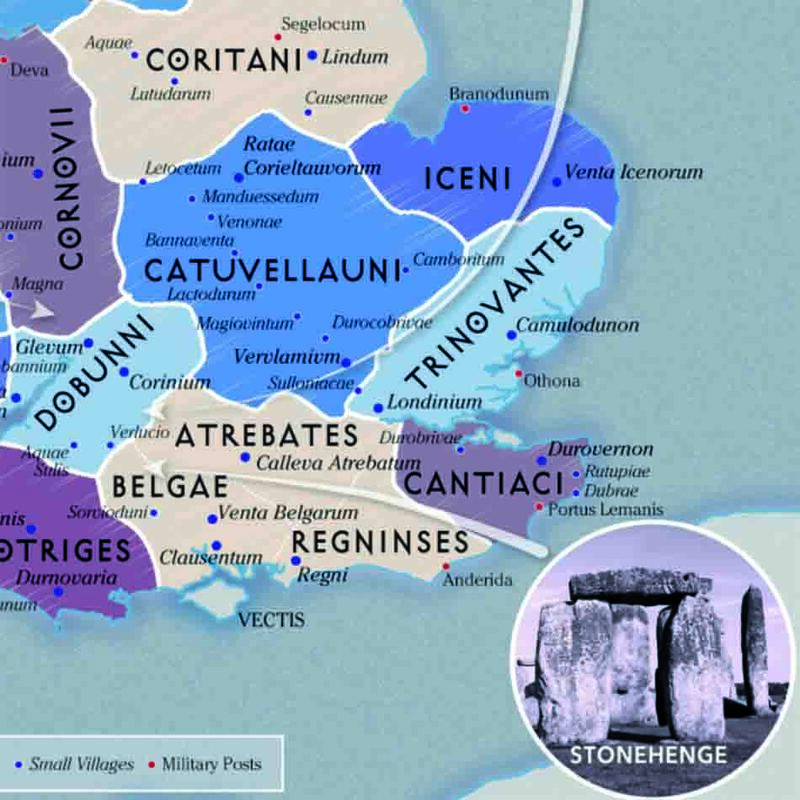 We began by choosing a pastel palette to show the different regions in 43 AD, with minimal settlements and military locations plotted on the map. We then used stock photography with filters to make them look more pencil drawn, to finish the map off. 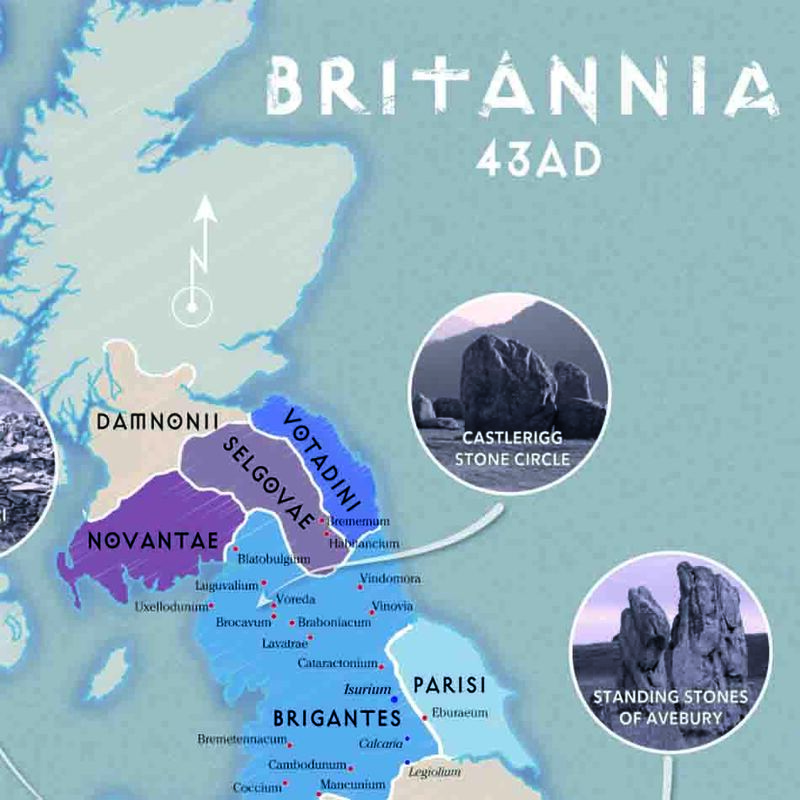 The historic map we accomplished for Britannia was commended and DNA PR was very pleased with it. The map was the main feature in the final press release to promote the TV series.